This smooth, Cocoa-based Nootropic makes an	uplifting & exciting diet aid. 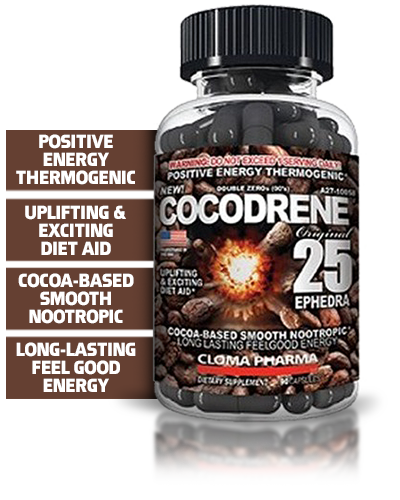 Cocodrene delivers long-lasting, thoroughly positive feelgood energyand vasodilation driven by its Theobromine infusion. SUGGESTED USE: Take 1 capsule per serving. Do not exceed 1 serving daily. For maximum results, eat smaller meals. 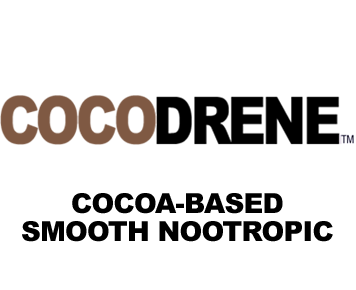 Reduce carbohydrate intake to 40% or less of calories. Avoid fast foods and sodas.